As the United States ramps up scrutiny over Chinese investments in America to protect critical industries and national security, experts are now sounding the alarm about investments in Europe that extend Beijing’s political influence and vacuum up cutting-edge technologies. Less than half of the European Union states have mechanisms for screening incoming Chinese investments, a potential security loophole highlighted by a recent U.S. Congressional hearing. Philippe Le Corre, a senior fellow at Harvard’s Kennedy School, in his written testimony before a May 23 House Foreign Affairs subcommittee hearing on “Chinese Investment and Influence in Europe” highlighted statements in the latest U.S. National Security Strategy, unveiled by President Trump last December. The strategy points out how China has a “strategic foothold” in Europe, and says that Beijing is expanding unfair trade practices and investing in key industries, sensitive technologies and infrastructure there . Le Corre testified that “it is possible” that Chinese investments originally destined for the United States will now be switched to Europe, since U.S. policy makers are now moving to defend against the Chinese regime’s incursions. U.S. Congress is set to pass a widely-watched piece of legislation that would strengthen CFIUS, the federal agency responsible for screening foreign purchases of American businesses with technologies critical to national security. Key proponents of the bill have repeatedly named China as the primary target, as Beijing has continued its aggressive industrial policy and espionage aimed at stealing U.S. technology. Gordon Chang, a China and East Asia analyst also testified at the May 23 hearing that currently only 12 of the 28 European Union member states have screening mechanisms that could review foreign investments, and that a recent effort to create an EU-wide foreign investment screening mechanism has proved to be unsuccessful. Chang’s statement is supported by a 2017 report done by Rasmussen Global. 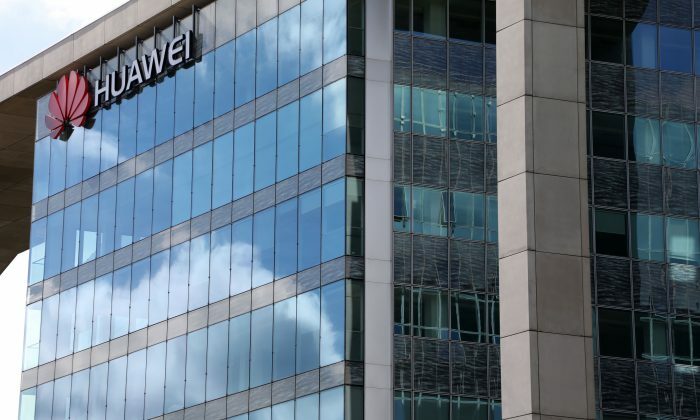 Chang also mentioned the example of Huawei, a Chinese telecommunication giant that has been accused of having close linkages with the Chinese regime’s military and intelligence, has “had better luck in Europe” and now derives 35 percent of its revenues from there. Such success, according to Chang, is at least partially due to United States having more stringent regulations than a number of European countries that keep their doors wide open. In discussing the purpose of the hearing, Rep. Dana Rohrabacher (R-Calif.), the chairman of the House Subcommittee on Europe, Eurasia, and Emerging Threats, said that there is an urgent need for Europe to increase scrutiny since China has bought or invested well over 300 billion dollars in European assets over the past decade. In an investigative report in December 2017, The Epoch Times revealed how the Chinese regime achieved a critical breakthrough in its aircraft carrier program by incorporating key technology from a semiconductor company in the United Kingdom it discretely acquired in 2008. The acquisition was not hindered by British regulators at the time, although the key semiconductor device in question has been specifically listed as subject to export control by European Union regulations. The same breakthrough in the semiconductor component was later thought to have also contributed to China’s advances in developing an electromagnetic railgun, a prototype weapon that could become a game-changer in future naval warfare.